The short lesson from this article about Apple’s retail experience is that if you want people to have a consistently good experience with your store, you must CONTROL everything. No element of your store’s experience should be left up to a random element of choice as decided by an hourly employee. A 2007 employee training manual lays out the A-P-P-L-E “steps of service” with an acronym of the company name: “Approach customers with a personalized warm welcome,” “Probe politely to understand all the customer’s needs,” “Present a solution for the customer to take home today,” “Listen for and resolve any issues or concerns,” and “End with a fond farewell and an invitation to return.” It is reportedly still in use today. Freedom comes on the other side of control. How are you controlling the experience in your store? This entry was posted in Customer Experience and tagged Apple, customer experience, PEF on May 5, 2012 by Dave Young. When you’re sitting at the gate, and they announce a 20-minute delay for your flight, you can feel the frustration in the air. 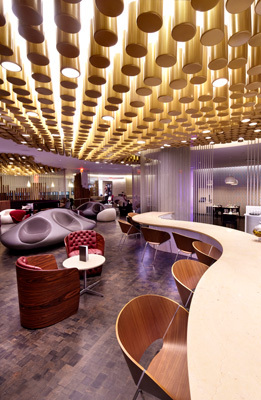 When they announced a 20-minute delay at Virgin’s new club in New York’s JFK, people applauded. Why? Because they got to extend their stay in the club by 20 minutes. Salon? check. Spa? check. Pool table? check. Cheap crackers and plastic-wrapped cheese? Try United. Capture this attitude toward making your customers happy and you’ll be hauling money to the bank like Sir Richard Branson. 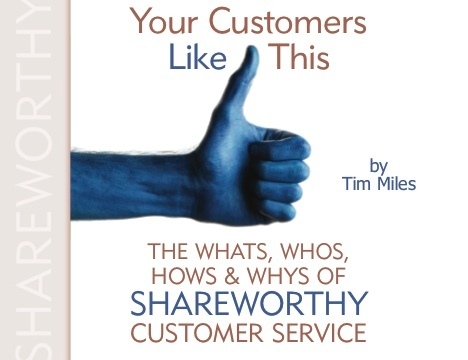 This entry was posted in Customer Experience, Market Share on April 6, 2012 by Dave Young.